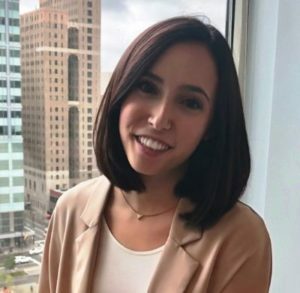 Get To Know Fairmount Ventures: Nicolette Epifani, Associate | Fairmount Ventures, Inc.
Nicolette Epifani, Associate at Fairmount, comes to work every day committed to making a positive impact on her team and her clients. 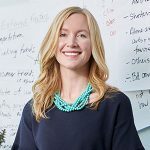 Her experience working with communities, government, and higher education provide a unique cross-sector perspective that informs her approach to nonprofit consulting and capacity-building. Nicolette earned a B.A. in Sociology from Widener University. FV: You got deeply involved in civic engagement and leadership at your college as an undergraduate. Tell us about that experience and how it shaped your interest in working with the nonprofit sector. NE: I started my undergrad career as an Exploratory Studies major, a program that’s specific for students who are traditionally deemed undecided. Once I took Intro to Sociology, I was hooked. I read through the course catalog and somewhat accidentally stumbled into being the first student enrolled in the new track, Civic Engagement and Social Change. The curriculum gave me a platform to expand my thinking and engage in meaningful discussion about tough social issues. My learning extended outside the classroom as a Presidential Service Corps/Bonner Leader, where I regularly volunteered in the Chester community. Working with various nonprofits in the area was a way to apply my learning in real time – whether the issue was food insecurity, education, or labor rights. That’s where I learned how much I enjoy working with different groups of people, finding common ground, and working together toward solutions. FV: What energizes you most about the work of nonprofit consulting and capacity-building? NE: As I progressed in my academic career, my interests naturally gravitated to a macro level lens. I was interested in lots of different social issues, and yet never felt like I could commit to just one. This is what draws me to Fairmount’s work. It’s a really unique opportunity to support clients who are serving such a wide variety of populations, across multiple issue areas. I’m constantly learning something new and deepening my understanding of the civic landscape in Philadelphia, and beyond. FV: Prior to joining Fairmount, you worked as an AmeriCorps VISTA with Drexel University in West Philadelphia. What insights can you share with clients who are focused on collaborative placemaking? NE: During my time in West Philly working with Drexel students, staff, faculty, and Mantua and Powelton Village community members, I learned that grassroots, collaborative programming can be challenging work. It pushed me to the outer-edge of my boundaries – requiring a high level of patience, self-awareness, and empathy. With that said, I discovered that taking the time to develop authentic relationships and truly listen to the perspectives of all stakeholders are key ingredients for success in that type of work. FV: What does a typical day at the office look like for you? NE: You could probably read this in every Fairmount staff Q&A, but it’s true – no two days ever really look the same. However, many of my tasks revolve around research, analysis, and writing. Sometimes it’s grant writing for a resource development client or peer and funder research for a program design project. A lot of Fairmount work is collaborative as well. Many of my days are spent in and out of meetings– both with internal staff and with clients. Having my desk in our open workspace area (or “the hub” as we call it) means that co-workers frequently pass through, which sparks informal conversations about our projects and each other that enrich our collaborations. FV: As our team’s South Jersey representative, what are some of your favorite recommendations for people to get out of the city and explore the greater region? NE: If you’re looking for a change of scenery, you could hop on the Patco to Collingswood. It’s a great little town, filled with tons of walkable restaurants and shops on Haddon Avenue. Also, as a Jersey girl, I’d be renounced if I didn’t include a shout out to the Jersey shore. From Cape May to Atlantic City, there’s always something to do. On your journey down, be sure to hit up a farm stand – they call us the Garden State for a reason!